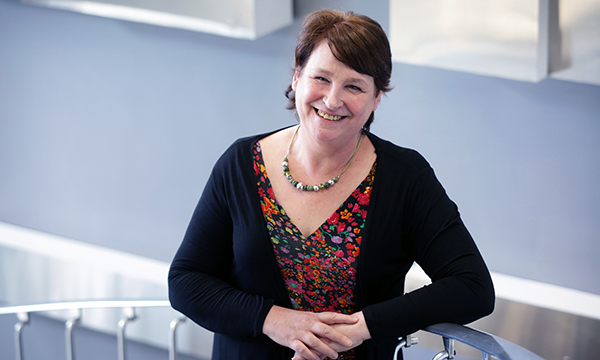 Recognise the importance of putting the person and their family at the heart of everything you do, says independent nurse consultant Gwen Moulster. Gwen Moulster devoted her 40-year nursing career to improving the care of adults and children with a learning disability, with roles including clinical nurse specialist, lead nurse, and associate director of nursing. Last year she was awarded an OBE for services to nursing and people with a learning disability, and was part of a team that won the learning disability nursing award at the RCNi Nurse Awards 2016. She retired from the NHS last year and now works as an independent consultant nurse and honorary teaching fellow at Kingston University. Policy and strategy development, leadership and mentorship, independent consultancy and teaching. Working at a national level helped my reputation in learning disability nursing, and since retiring I have been approached with offers of work. People with learning disabilities and their families, learning disability nurses and students, and NHS and other organisations associated with people who have learning disabilities. Working with people with learning disabilities and their families to enable better health outcomes, and supporting and encouraging the personal and professional development of others. Achieving a balance between what is needed and what is available. The effect that limited and declining resources can have on someone’s well-being upsets me. To be person-centred and strive for the highest standards, to help overcome the barriers to good health faced by people with learning disabilities. At the start of my career I was privileged to be guided by the most inspirational ward sister, who taught me the importance of caring. Director of a community interest company, to further develop the Health Equalities Framework so it can be used in clinical settings other than learning disabilities. To recognise the importance of putting the person and their family and the things that matter to them at the heart of everything I do. Listen more and talk less. Be patient, trust your instincts and choose a career path that feels right for you.